Environmental simulation game GreenYrLife looks to inspire Facebook gamers to help the world by making the act of “going green” a more accessible concept than players might initially believe. The game combines quizzes, informational videos, an experience points system, mini-games, virtual home decoration and more, into an experience that focuses on protecting Mother Nature. 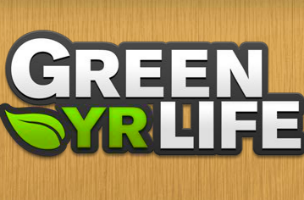 In GreenYrLife, players receive a badge and title, and can upgrade that title by earning points. These points are earned by completing tasks within the game, like answering quiz questions or watching Green Tips videos. These quiz questions may ask players to identify the most energy-saving varieties of light-bulbs, for instance, while other tasks are completed on the honor of the player. That is, the game encourages players to plant a flower or other item in a garden, but since there’s no way to prove this action was completed, users receive the points for free. Users can only complete a small number of tasks every few minutes or hours, but while they’re waiting for this “To Do List” to repopulate, players can customize their virtual Green Space, a home with a stock supply of items, which can be upgraded into “greener” products over time. Players can upgrade everything from their dishwasher to the air conditioner in the back yard, learning real-world stats about how each upgrade saves energy, money and the planet. Two mini-games round out the experience. The first, Paddle Boat Panic, asks players to use their arrow keys to maneuver a paddle-boat around the ocean, picking up floating debris and freeing animals trapped in garbage. Levels are timed, and filled with obstacles like whirlpools. The other mini-game, Retrieve Recycle Reuse, gives players 60 seconds to collect as much garbage as they can with a swinging crane. The crane moves from left to right automatically, and players simply click to lower the crane into the ground to pick up debris. GreenYrLife is available to play for free on Facebook. Check back soon to track the game on AppData.